Pianist Coco Wei born in China, has shown a great talent in music when she was 5 years old. Coco chose to play piano at first as an interest until she was one of the 10 children who was selected over 300 candidates in China to study in the elementary school affiliated to Shanghai Conservatory of Music when she was 10. While she studied in Shanghai, she was chosen to perform regularly in Center Music Hall in the Shanghai Conservatory. Meanwhile she was invited to perform in major cities in China such as Beijing, Tianjin, Huaibei, Qingdao, Hefei etc. Coco has actively collaborated with instrumentalists and vocalists including Traditional music Honor recital in HeLuTing Concert Hall, Shanghai, China. Coco won the 2nd prize of Conservatories in China piano competition, and 3rd prize of Zhujiang piano Competition. She also has recorded an album for the Royal Music Academy Piano level exam test book. In 2011, Coco has received full scholarship from Oberlin Conservatory, includes Dean’s talent award. In 2015, she has finished her Bachelor degree in piano performance from Oberlin Conservatory under the guidance of French concert pianist Prof. Monique Duphil. Now residing in New York, Coco has been pursuing her Master Degree in piano performance at the Steinhardt School, New York University, studying with Concert pianist Prof. Eduard Halim. She is also an adjunct piano faculty at NYU where she teaches private piano lesson. 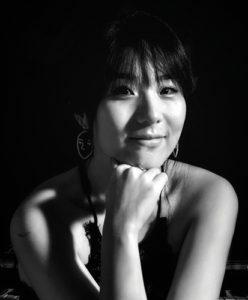 Besides performing solo and working with other artists, she has joined various music festivals such as Colorado college music festival, Shanghai International piano festival and Oberlin Baroque music festival. Coco has also been performing in master class for maestro such as Fu Cong, Peter Frankl, Eteri Andjaparidze, Alexa Still, Kwok Gabriel, Michael Endrens and more. Each student is an individual case. I think customizied approache is necessary, which is based on their personalities and different talents. To make student feel comfortable and confident are very important. My strategy is to maintain discipline and fun at the same time by respecting, exploring student’s music idea that follows by a well made, organized teaching plan. To be honest, everything in teaching is enjoyable. It’s very privileged to be able to help students explore their talents in a certain field that they are not so familiar with. It is just so exciting to see students learning with their passion, and to share all the feelings within the learning process. Whenever I help students to figure out different ways of producing music, their smile and excitement is always the best reward.